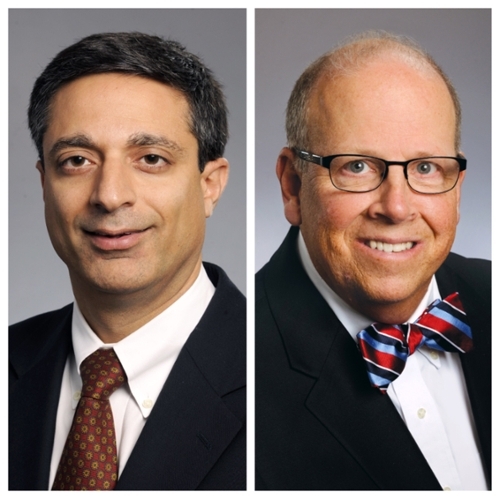 Winship Cancer Institute of Emory University has named Sagar Lonial, MD as chief medical officer (CMO) and Charles A. Staley, MD as chief quality officer (CQO) effective February 2015. Both physicians join Winship's senior leadership team and will advance Winship's clinical programs and services within all of its clinical facilities. Lonial, professor and executive vice chair of Emory's Department of Hematology and Medical Oncology, is an internationally recognized authority in the management and research related to B cell malignancies, including multiple myeloma. As Winship CMO, he will oversee all clinical care initiatives impacting both clinicians and patients. Staley, a professor and director of Emory's Division of Surgical Oncology, specializes in the management of patients with gastrointestinal cancers. He previously served as Winship's chief medical officer and now assumes responsibility for the institute's quality improvement processes across all disciplines and campuses. "I can't think of two physicians who are better suited to take on the critical leadership roles of Winship's chief medical officer and chief quality officer," says Walter J. Curran, Jr., MD, Winship's executive director. "I am looking forward to working with Sagar and Charlie to help advance Winship’s role as the first and only National Cancer Institute designated center in the state of Georgia." Lonial and Staley will collaborate on tracking and improving patient services and satisfaction as well as focusing on cancer outcomes at Winship.